I thought it wise to make the response open to others through a post. I believe it will help others thinking like this subscriber. It is commonly said “ you are never alone”. Today phones seem to be replacing the popular computers. We know this might never happen because some activities really need the computer ONLY to be completed. Today, I will be sharing with you how you can make money with your mobile phone. Just to remind you that my money making tips are never get rich quick schemes. They show you how to get a second income source or how to build a stable income online over a long run. In order to make money with your phone, you should have a smart phone for best performance. This is because all the methods shared will work for you if you have a mobile phone. This method will work very well for students or those who work in large organizations. Sometimes you can find yourself in an area where many people are asking you questions on a particular subject. Sometimes, you might not be able to respond to all of them. You can just take it as a money making opportunity. We are in the win-win world; just make sure you are able to win too. The idea here is propose may be a monthly subscription of let say 1-3 dollars for those who will like to benefit from your ideas. Some might even offer airtime. This is better. With this motivation, you will be able to set time to update your subscribers using sms or any messaging app such as we chat and viber. With this you can build a large audience which will be a good starting point for your career as a consultant or coach. A review simply means an expression of how you feel about a company, product, or service in writing or using videos. Companies use reviews as a means of evaluation. People also ten d to buy or use services with a positive review. Because of the growing competition in business today, some companies will pay you to write reviews about their products. While spending some time online with your mobile phone, you can consider searching for such site to make extra income from you browsing time. These are apps that enable you to be rewarded for using them. You can make money from these apps by shopping, watching videos, reading articles and accept ads on your phone, take surveys and more. Some apps wagbucks, earbn money, Locket, Poshmark, cash pirates ,Receipt Hog, Shopkick Viggle , and Swag bucks are well known for putting some extra cash in your account , all thanks to your mobile phone. Some of these apps allow you to get money into your accounts while others permit you to get gift cards which you can use it to shop on some top sites online. VI. You can make money by playing games. Some mobile phone users spend day and night playing video games. You can consider playing games for money. This is not a very easy task. Somehow, you will have to turn play to work if you want to make real money playing video games. “Mint coins” is an android app that allows you to play games for coins which can be cashed out through paya pal. Some games like ; tinylot, eve online and second life are said to be offering rewards to its players. Make a good research and read reviews if you want to start with any money making game. 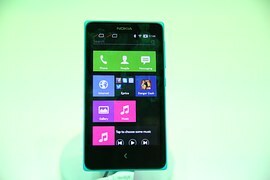 This is the last option so far as making money online with mobile phones is concern. Not everyone can do this. 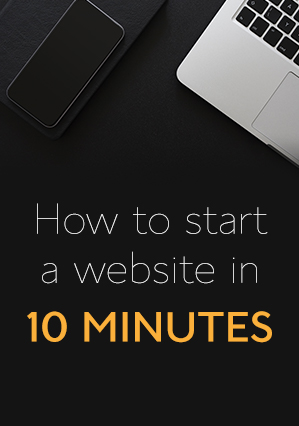 This method will work for those who are able to connect to the internet every day. The “internet addict” method. Pay per click programs allow you to make money clicking on ads . Some of them offer you the opportunity to earn additional money by referring other users. One of such a program was My Advertisement pay, which allows you to make money by clicking on ads, referring others and selling ad packs. Some big names on the web include clixsense, traffic monsoon, and neobux. In order to choose any PTC program, make sure you do a proper research about it. Also read reviews about the program. To round off this write up , we can say making money online is not just with the computer. There are thousands of ways to earn money online whether you are using a mobile phone or a computer, however I recommend that anyone interested in making money online should consider using both a mobile phone and a computer to maximize their earnings. It is the generation of mobile technology; it is the moment to earn “mobile money”. Is this not great? Happy “mobile phone” earning and feel free to share any other way to make money with a mobile phone. Really helpful Tips. This site is really Good. I have benefited through this article. Thanks for sharing this helpful article with us. Thank you very much Shahriare. http://earningimoney.com/internet-business-factory/ can be helpful here. Thanks sharing information on make a money with mobile phone or smart phones . we can send Promotional SMS and transactional sms by using these bulk sms services so its important for business.